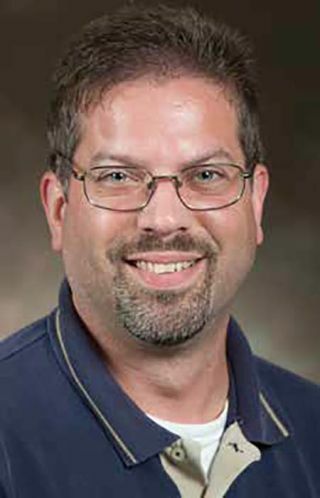 Scott Deetz: The AV/IT convergence has been playing out at Cedarville University for several years, even before AV/IT convergence was a buzzword. It all started with us requesting to put our Crestron processors on the network to remotely manage rooms with Crestron’s RoomView software. From there, it has slowly evolved into a great relationship with the IT department. Four years ago, AV moved from library services to IT. There were a lot of questions about the move that ranged from physical location of staff, storage of spare equipment if we move from the library space, and how the IT department procedures worked. When you are used to handling procedures a specific way for 12 years, it’s difficult to make adjustments. Even after four years, I’m still having difficulties remembering some of the processes. Things have improved over the years from being in the library to now being a part of the IT department. When we were in the library, I would ask one of the directors what plans they had regarding computer purchases and, more specifically, the video cards. This would have helped with the AV designs for the classrooms. I was always told, “we will work with whatever you design.” That didn’t help me at all. Now that we are part of the team, we communicate all the time so the computer purchases, AV design, and installations go smoothly. Overall, the AV/IT convergence has been going very well at Cedarville University. Scott Deetz: Videoconferencing is not so much a problem, but what is the better solution for our campus? Cedarville University is a small Christ-centered community with resident dorms, so there are not a lot of commuters from the area or a secondary location that would benefit the use of a larger system like Cisco or Polycom. As we all know, videoconferencing can be accomplished with a smartphone or tablet. We conducted meetings with those people that would utilize a videoconference system and decided that we could use Skype, Google Hangouts, or Adobe Connect when content needs to be shared. This would help save on personnel time and support because more people understand Skype and Google Hangouts more than a propriety system like Cisco or Polycom. Scott Deetz: While other universities and businesses are already trying wireless presentations with the latest and greatest piece of equipment or software that comes out, Cedarville has waited until some standards are met before we really dive forward with offering this in classrooms. I’m looking forward to a cost-efficient and all-inclusive device or software that can support BYOD. We could have purchased a manufacturer’s device that works with most sources, but not all. Either it would support iOS, but not Android and vice versa. Now there are more and more companies that can support both iOS and Android. Scott Deetz: Currently, it would be to continue moving forward with upgrading our analog systems to include digital media. That means the purchase of new control systems that transport all the audio, video, control, EDID, and other information through a single CATx cable. We hope continuing with this technology of transporting signal through a single CATx will help us keep the infrastructure for future technology changes on the horizon. Scott Deetz: Although it is getting a little better, manufacturers need to stop having proprietary systems and play well with others. The bigger picture is one system can display an iOS device wirelessly, but not an Android device, and vice versa. If a manufacturer is developing equipment that can take a device and present it wirelessly to a display, then they need to be sure it can work with all phones, tablets, notebooks, Chromebooks, and so forth, without loading software or apps. Scott Deetz: The biggest obstacle is finding the right equipment and/or software to work with the current infrastructure, work with all possible devices, and be cost-effective. Sure, there are devices now that can handle the “BYOD” craze, but they are expensive. When one is trying to stay within a budget and not redesign a system, it’s difficult. Also, one needs to keep in mind the end-user and their understanding of technology. The younger generation can understand the technology, but we have to keep in mind those that don’t understand technology very well. Scott Deetz: Our collaboration strategy is pretty simple. We don’t have the latest technology that can connect every device. Our collaboration spaces have a large display with a desktop computer and connectivity for a VGA or HDMI laptop. We have Google Apps on campus, which uses Google Docs. Therefore, the group of students can create one document that everyone can edit together and see what the other person is changing. If for some reason one or more of the students are off campus, they could connect via Google Hangouts for that “face-to-face” meeting and still edit documents. Right now, it’s about meeting the needs of the students without spending a lot of money that may not be necessary to spend.